The Council is funded partly through receipts and partly through your taxes, therefore it is committed to functioning in a professional manner in order to ensure that it delivers quality services which are value for money to the rate payers of the area. The Council has also successfully passed through rigorous financial audits which ensure that it is delivering transparent value for money services and it continues to be an important part of the local economy with goods and services procured through local businesses wherever possible. Financial documents are outlined below and for any queries on Council finances please contact us. 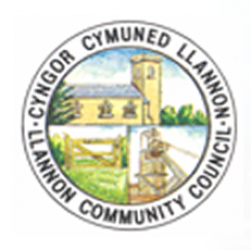 The Council makes donations to local organisations who have applied for financial assistance, such as Tumble Juniors RFC and Mynydd Mawr choir for their respective trips abroad because it was felt that they were representing the community and promoting the art and culture of our area. The Council has also supported individuals and school children with educational visits abroad and regularly makes donations to the Urdd Eisteddfod as well as vital charities such as Help the Aged, Cancer Research UK and Shelter Cymru.